As my Aunt Betty would have said, “HOLY MARY, MOTHER O’ GOD!” Just when I thought I understood what was going on, along came Part 2 and I’m begging for confirmation that my head is spinning in the right direction. The Wife Between Us was exactly what I needed to get me out of my two-book DNF reading slump. It started out a bit slowly which concerned me for the first few chapters but I now understand the need for the build. It’s necessity to the plot is only one consideration; if my fingers turned those first 75 or so pages as quickly as they’s turned the rest, they’d have been blistered and bleeding! We’ve all read our share of garden variety, love triangle-based domestic noirs. This is not that! Greer Hendricks and Sarah Pekkanen have come up with a truly unique plot and a cast of characters that will have you questioning everything you think you know about them until the very end. Even when I reached the point of the fist big reveal, I still had no idea where we going or more accurately, why. Is this a book about a woman who’s determined to sabotage her husband’s new relationship out of pure jealousy? Fair enough if it is. But is there more? How much of our unreliable narrator’s tale can be believed? I won’t go into the plot beyond what I’ve already said; it’s unique. To discuss even basic elements of plot and characters would only lead us down a path of spoilers. I cannot be responsible for depriving readers of the shocking and twisted ride that is The Wife Between Us. When I learned that this book already has a movie deal, I was only somewhat surprised. It’s NYC and Westchester settings and atmospheric restaurant and party scenes will translate beautifully to film. I’ve been trying to cast the actors in my head but not coming up with what I think are “the ones”. If you’ve read the book, I’d love to hear your thoughts on this in the comments. Excellent review. I need this one so bad. It’s definitely high on my wishlist! Thank you! I hope you love it when you’re able to read it! Wonderful review, Ann Marie! I haven’t heard of this book, but I am completely intrigued. It’s always wonderful to find the book which removes you from a reading slump. How did you end up picking this book up? Thanks, Jackie! I can’t recall were I first saw it but suddenly started seeing it everywhere. 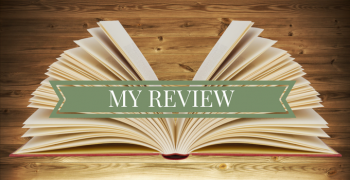 A couple of the reviews that really convinced me were Dee’s at Dee’s Rad Reads and Reviews and Amy at Novel Gossip. It also debuted very high on the Times list if I remember correctly. I was actually late to the party in requesting it but the published was kind enough to send me a copy anyway and I pushed it to the top of the list. I agree that it’s a bit of a slow start. You really have to keep reading till you get to Part II. That’s where things really pick up. If you’re still not enjoying after that, then it might not be the right book but I’d suggest giving it another go if you can work it back in. I’ve been pretty adamant with myself that I’m not trying this one as my luck with psych thrillers is dismal but your review is awesome and no one has mentioned the NYC setting and atmospheric restaurant and party scenes in reviews I’ve read and that’s got me really re-thinking this one…I love anything set in NYC!! That’s a lot of pressure on me, Renee! 😉 But I do think this one is pretty darn good and different at the very least. And I also love books set in NYC. There’s a restaurant called Sfoglia’s that I hadn’t heard of that I now must go to. Whoa! You’ve sold me on this one. Like you, I’m going through more DNFs then I like so would enjoy something that gripping. January was weak for new releases and it doesn’t feel like February is shaping up much differently. Thanks, Catherine! As I mentioned, the first part can seem slow but if you can hold on until you reach Part II you’ll be golden. Sorry to hear you’ve had the same luck as I in January. I didn’t realize this book had two authors. I’m seeing this book all over, and I really want to read it. I’m happy it got you out of a slump. Thank you! It’s the second book I’ve read recently that’s penned by two authors. I thought that it must be very hard to do but in reading the article I linked in the post they made it sound like a lot of fun which really impressed me. I’ve seen this book around and it has excellent reviews. It definitely sounds like the authors know what they were doing. Great review! Thanks, Nikola! Agreed. I can’t believe this was their first collaboration. A dynamic duo, for sure! 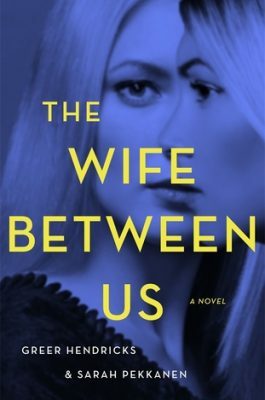 Sometimes I shy away from books that have had a lot of hype and that’s how I was feeling about The Wife Between Us. After reading your review, I think I may need to reconsider! I may try this one on audio. It really was pretty darn good. I do understand how you feel though as someone who tends to only like the most hyped books about 60% of the time. I keep seeing reviews on this one and sorry I didn’t get for download. Interesting you had two DNF’s before this one–loved it–and then in comments someone else DNF’d it. It would have to grab me prior to 30% into the book tho. For me it wasn’t slow enough to DNF at that point; just slower than I’d expect from a thriller. Not dragging, necessarily but not action-packed either. I was still enjoying it enough to continue but I’m certainly glad it picked up. Thanks for stopping by! I really liked this one too! I love your review! Crossing my fingers that you have no dnf’s anytime soon. Great review! I am so excited for this one. My library just got it in and I put a hold on it!! I hope you love it! Can’t wait to hear what you think. Fantastic review. If I hadn’t already been convinced to read this one, I would be rushing to get it. I have an audiobook of this locked and loaded to start today on my phone! Have a lovely weekend. So glad this was a brilliant read for me, I can’t wait for the twists and turns. Thanks, Heidi! I hope you enjoy it. I’ll look forward to reading your review. Happy weekend!